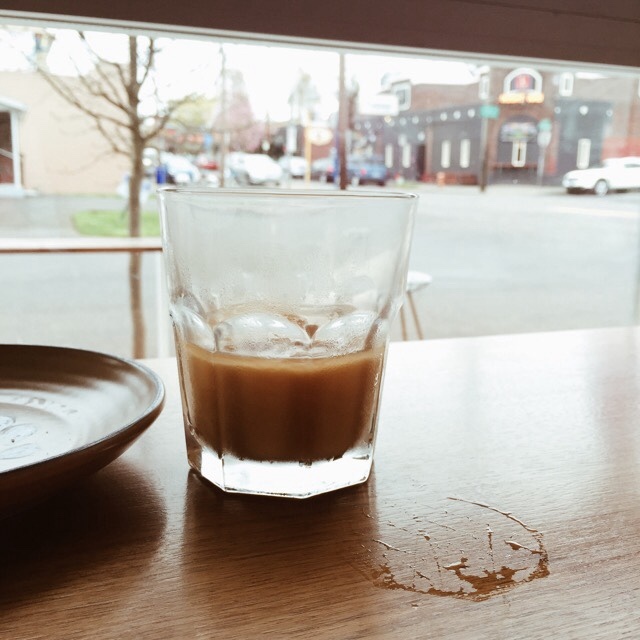 Coffee shops are Portland's love language. They are everywhere! 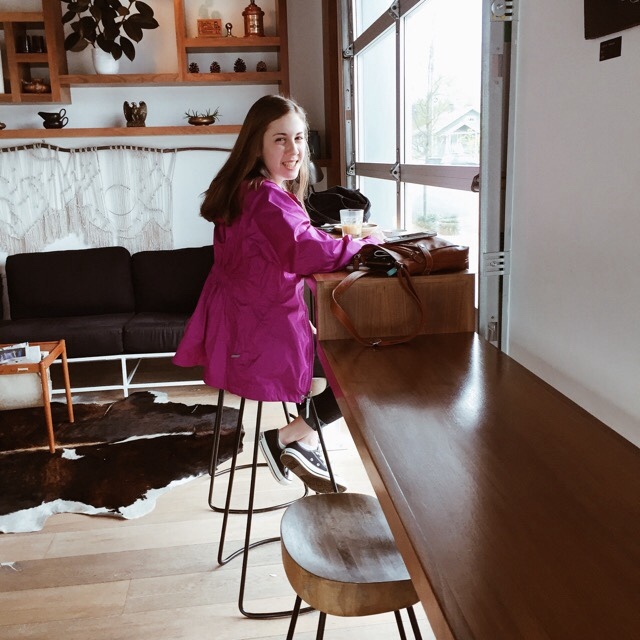 My sister, the gallivanter of Portland has been finding these cute coffee shops to chill in with her friends, and she wanted to take me to one coffee shop in particular. 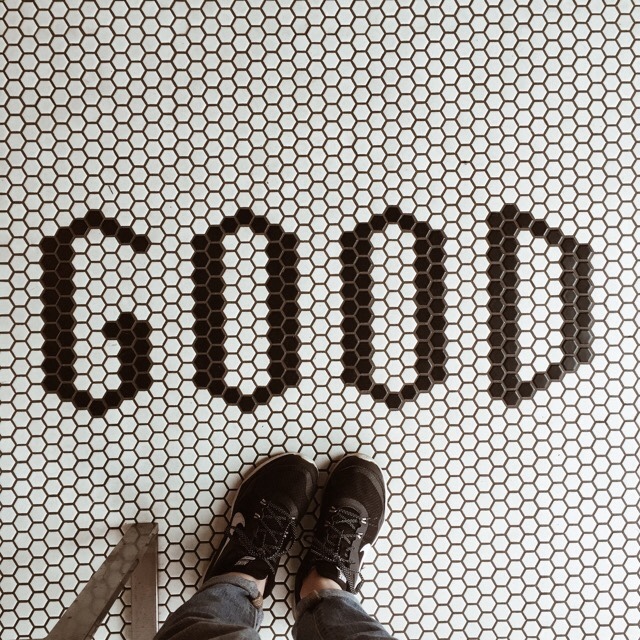 A coffee shop on the corner of 48th and Division in Portland, Oregon called Good Coffee. 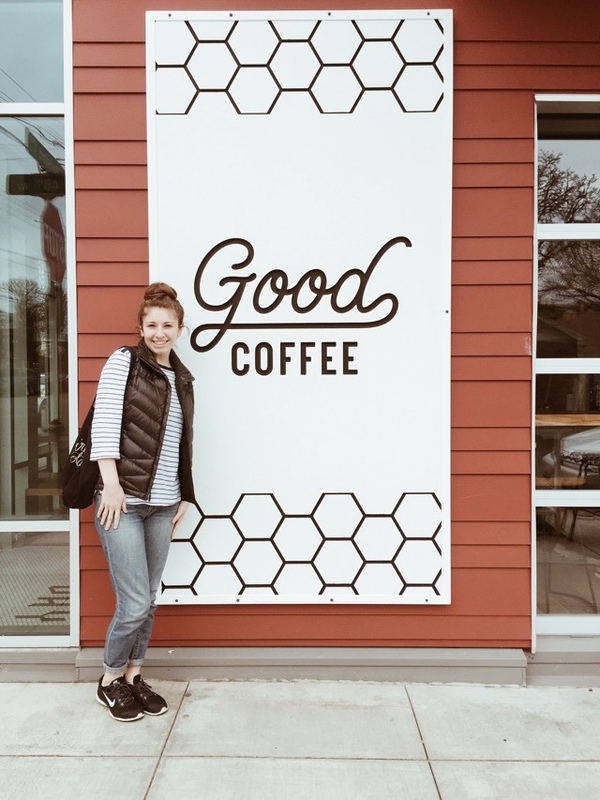 Their name answers the question that all good coffee seekers ask, "is their coffee any good?" Well, of course it is! It's the shop's name! I had such a lovely experience at Good Coffee and I have my beautiful sister to thank for taking me here. 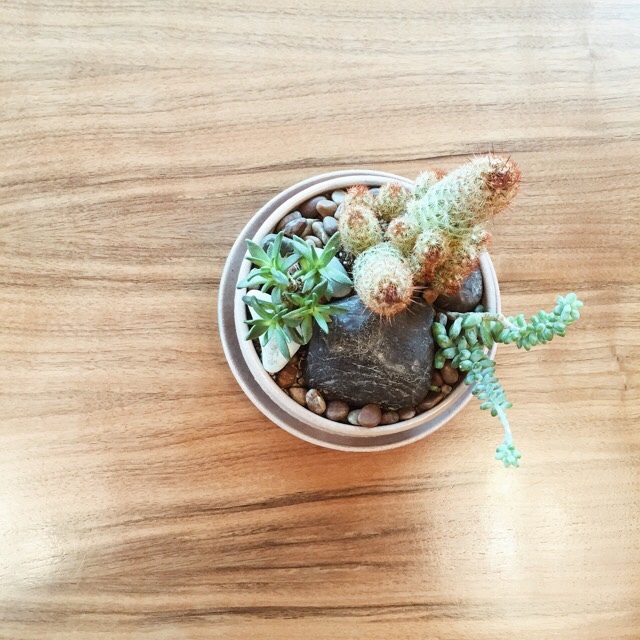 The first thing my sister told me about Good Coffee was that they have little bowls with cutely arranged succulents and cacti on their tables. As a person who is succulent obsessed, I had to see it. She goes to Good Coffee an awful lot, so I knew she must like their coffee, or else she wouldn't keep going back. Since we both had the afternoon free, we went to Good Coffee together, and I am so glad that I finally made it this wonderful coffee shop. 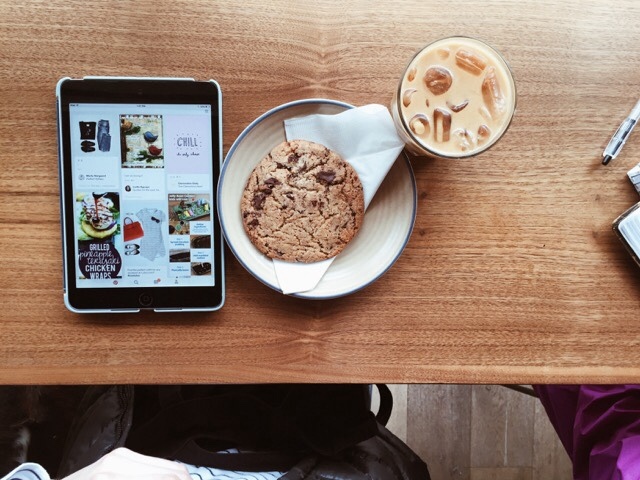 I decided on a cold brew coffee, and a chocolate chip cookie. Their menu is simple, and I love minimal menus. It leaves more time for sipping and enjoying your coffee rather than spending all your time deciding on what you are going to drink. I spent my time on Pinterest, finding new blogs to follow, and researching, while my sister caught up with her bible readings. I really admire her for keeping up with that. Good Coffee's coffee is really very good. Their cold brew has a special flavor to it, it isn't sweet, it isn't bitter, but it is the perfect balance in between. And oh how I love all the natural light that is welcomed inside Good Coffee. 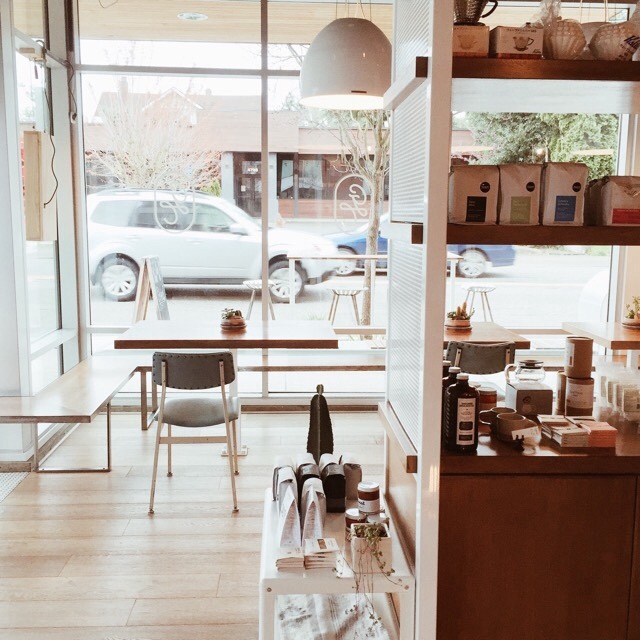 The walls are windows, and it gives the shop a comforting, warm, and open feel. It was one of the first coffee shops that I have actually ever felt really comfortable taking pictures in. There is always good light, and the baristas are so accommodating! I asked if I could take pictures inside the shop, and one of the baristas moved a Chemex forward to make it look nice. Aww! I am thinking that I will come back, grab a table, and a coffee, take a few flat lay photos here in the future, on the table. People go to coffee shops to work on projects all the time... Most of those times they are working quietly on their lap tops, but I will be working quietly taking pictures. 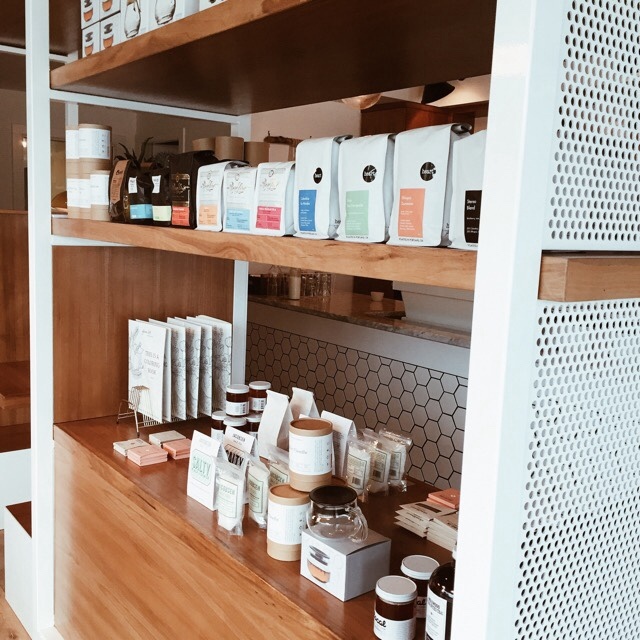 I am attracted to minimalist packaging, and Good Coffee has a whole display of coffee and coffee things for sale, attractively arranged, and very pretty. I want to go back and see all of the things that they have for sale. It all looks so intriguing. Everything looks pretty in this shop, even a half full cold brew, with the view of a 24 hour bar and pool place. 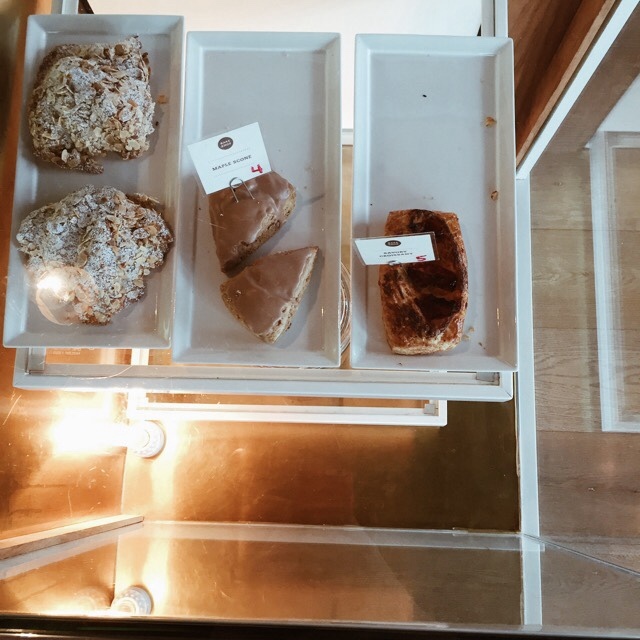 The perfect minimalist selection of coffee shop pastries. This shop is just cute all over! This seating area at Good Coffee is very similar to my dream living room. 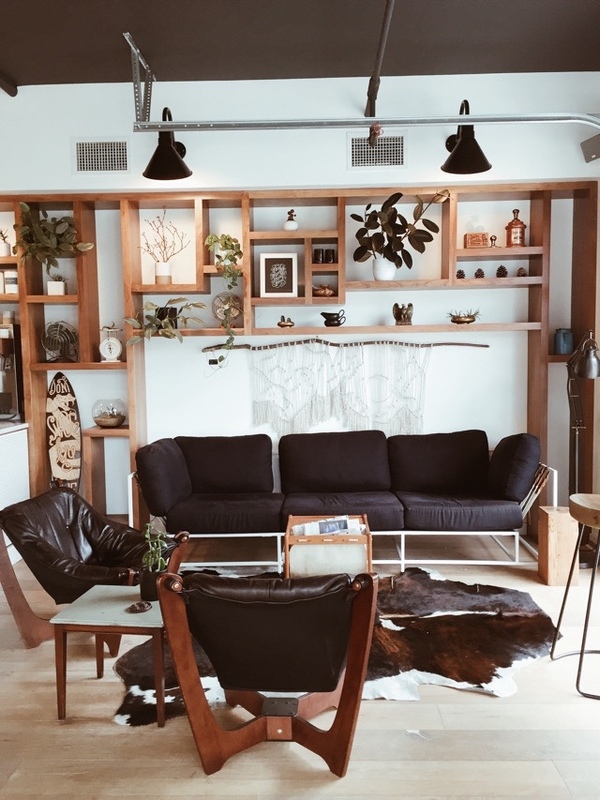 Plants everywhere, tapestries on the wall, cozy furniture, and industrial looking lamps. Maybe not the cow hide rug, but most everything else about the Good Coffee seating area is perfect. I drive up and down Division Street quite often, I never knew this shop existed! I am so glad that my sister took me here today. It was such an eye opening experience, even though I am a frequent coffee shop goer. Good Coffee was like a whole new experience, and a coffee shop in a higher league. It is comfortable, and gorgeous. I am coming back really soon. 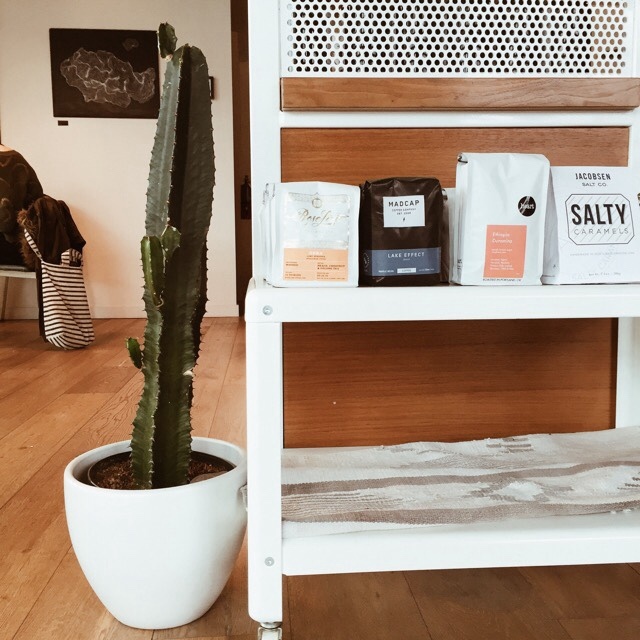 Thank you to the baristas at Good Coffee for letting me take pictures inside the shop! It was a beautiful coffee shop experience today, and I am so glad that I got to spend it with my sister.